Cancer – it’s the word you never want to hear! In a split second, it can bring your whole world crashing down, impacting those you love the most. Chances are you’ve been touched by it in some way – a friend, a family member or even personally. 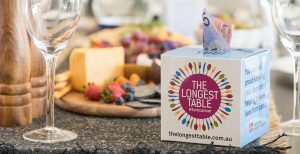 Your Longest Table raises much needed funds for cancer research through The Hospital Research Foundation (THRF) to find new ways to prevent, treat and cure this heartbreaking disease – to #forkcancer. Together, we can feed hope for a future free from cancer! Can help fund vital lab equipment for our breast and prostate cancer prevention and treatment research teams. 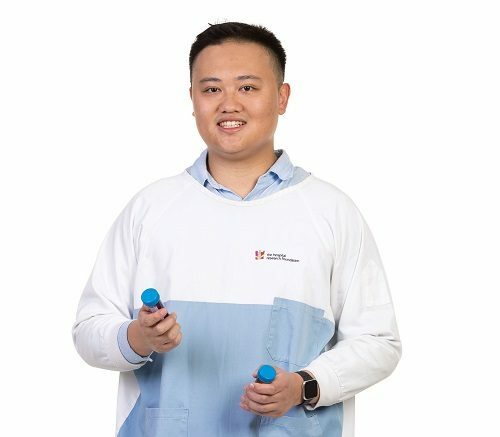 Can help support a PhD student working on vital breast, prostate and bowel cancer research projects. Will help enable more personalised treatments for breast & prostate cancer. Will help investigate if a group of immune cells could be a key target to predict if a patient’s bowel cancer is likely to spread. Will provide vital funds to ensure a project looking to understand the growth and development of lymphatic vessels, commonly used as a “highway” for cancer cells to spread through a patient’s body can continue. Can support vital research into developing the first targeted treatment for triple negative breast cancer, the most aggressive type affecting women with no current targeted treatment available. Can provide vital funds to support research projects dedicated to better understanding and treatment for breast, prostate, bowel and brain cancer. The Hospital Research Foundation (THRF) is finding cures and improving care for everyday Australians by supporting research into a variety of diseases and illnesses; cancer research is a major focus. For every $1 raised at your Longest Table, THRF provides over $5 in grants to lifesaving cancer research and patient care. This is because THRF’s administration costs are covered by its commercial business activities (such as its lottery program). You can feel proud knowing the money you raise makes an even bigger impact to help save lives from cancer! Here you can read more about the amazing research currently underway in the labs as well as how medical research has improved the lives of the many hosts who have chosen to #forkcancer. Your support is helping to #forkcancer!